I have two very tangible reasons to believe that interfaith marriage can be an unqualified success: my mother and father. 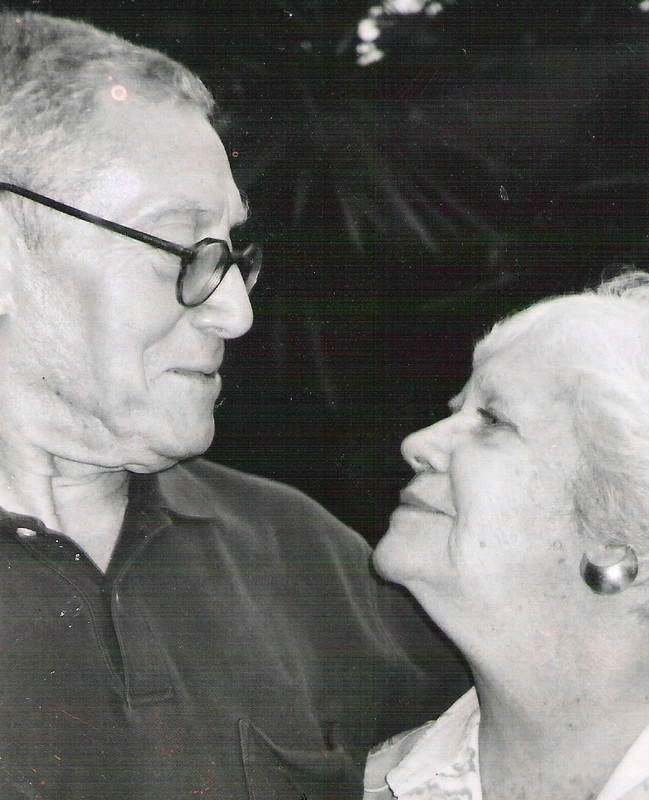 My parents met in 1953, when they shared the last cab from Logan Airport on a rainy Boston night. For seven years, they courted on and off, cautious in part because of their religious differences. My father is a rabbi’s grandson from an isolated community of Jews who sometimes resorted to marrying cousins rather than marrying out. My blond-haired, blue-eyed Episcopalian mother had contemplated applying to a Protestant seminary after college. So at first, the idea of marriage seemed like a true leap of faith. But leap they did, and went on to raise four children. This weekend, my parents hosted a family dinner and dance to kick off a season of celebrating 50 years of the strongest and happiest marriage I have ever had the privilege to encounter. When I called my mother and told her I was going to write about the anniversary celebration, she said, “Why would anyone want to read about that?” I guess she was thinking of Leo Tolstoy’s insistence that happy families are all alike. But the media rarely depicts happy interfaith families: those stories tend to focus on conflicts and dilemmas, especially as the “holiday season” approaches. Tolstoy also wrote, “What counts in making a happy marriage is not so much how compatible you are, but how you deal with incompatibility.” My parents dealt with their religious differences by deciding to raise us as Reform Jews. But the “interfaithness” of my extended family was obvious this weekend at the exuberant anniversary celebration. My mother’s family (Episcopalian and Catholic backgrounds) flew up from Florida to my father’s hometown in Pennsylvania, joining about 40 of my father’s extended Jewish family who gather there each year for Thanksgiving. The vast majority of the Jewish cousins in my generation are in interfaith marriages. But the Rabbi from the temple where my father had his own Bar Mitzvah was one of a handful of guests from outside the family. With a live band and a packed dance floor, the boomer generation then shouted the words to “We are Family” by Sister Sledge. Later, I spotted my Episcopalian husband with his arms around the shoulders of my Jewish cousins, dancing in a tight circle of men during an extended klezmer sequence. I had to wave off cousins who wanted to lift my parents on their chairs at the center of a whirling hora circle—they are 87 and 79 years old, after all. But mostly, my parents did not sit, they danced together. Though my mother can’t stand without support for long, my father held her as they “swayed” to Glenn Miller and Duke Ellington tunes from their heyday. The adoration between my parents is constant, powerful, a high standard for the rest of us to live up to. When my mother was in the hospital a couple of years ago, my father serenaded her on a piano in the nurses’s lounge, playing “My Romance” each day until she recovered. The nurses all fell in love with their love story. Who wouldn’t? So if I’m sometimes a starry-eyed optimist, if I insist that interfaith marriage can work, that interfaith families can be close and vibrant, that interfaith children can be happy, that it’s all good–I have my reasons. Happy anniversary, Mom and Dad. Being Both: Embracing Two Religions in One Interfaith Family by Susan Katz Miller, available now in hardcover, paperback and eBook from Beacon Press. Heartwarming. Love the story and all it represents. Thanks so much, Susan. This is just beautiful. The photo tells it all. Mazel tov, Susan. Congrats. Gong xi gong xi. So moving — and so enviable. But, no Secrets of a Happy Marriage to bestow on the rest of us? A toast to Bill and Martha and how they have paved the way for many others. This story needs to be told everywhere! Sue I’m very moved by your words and the love and deep respect you have for your parents! They need to come to IFFP and be on a panel for interfaith successes! Discovered your blog belatedly via Earthbound Spirit. What a delightful story of your parents and your own family. DairyStateMom and I have been fortunate to find in our respective religious communities respect for our own interfaith stance. catching up on old blogs. this one is particularly sweet. great photo. better story. you’re fortunate. Thanks for this story!!! it is very encouraging for me right now because I’m about to marry a man of different religion. It’s really hard to resist all of those who say that nothing’s going to work, you will be unhappy for the rest of your lives. I have this story now as a great example that everything will be just fine. Thanks again for this!!! Katya–Welcome to onbeingboth.com and thanks for visiting. I hope you will find a lot more encouragement and reassurance on this blog. Interfaith life can be very good indeed. Congratulations on your engagement! Thank you so much for sharing your encouraging beautiful story! So glad your parents were guided by love and embrace and have created such a thriving family environment! thank you for sharing these story. It’s a blessing for people like me, catholic married to a protestant in super-catholic country (Italy) where interfaith couples are not common at all. Sometimes I just get so discourged from people telling me that my marriage is not going to work because of the difference in our religous views. Reading your parents story gave me hope…. This would make a great Hallmark Channel movie! Yes, we are schmaltzy like that. I would love the world to see more successful interfaith families, on Hallmark or anywhere else. All text, all recipes, and all photos labeled “photo Susan Katz Miller” are copyrighted. Please contact me for permission to reproduce.